We not only have the privilege of working with these incredible Golden Retrievers on a daily basis, we do it as a family. Working together to ready our puppies for others is just part of a what makes Snitker Goldens and our puppies special. 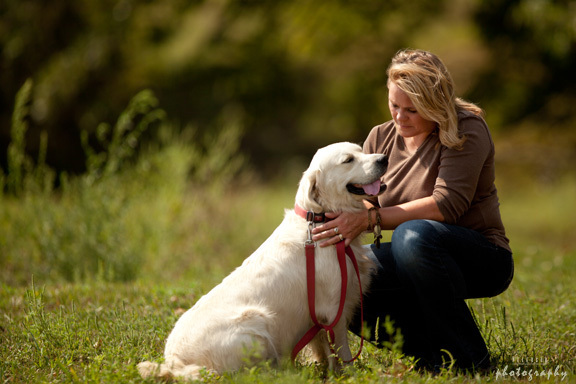 Our passion in the Golden Retriever is the relationship - whether that be in the capacity of Companion, Service, Emotional Support, or Therapy dog. Snitker Goldens is a family-owned and operated breeding program striving for excellence and integrity in the rearing of Companion, Service, Emotional Support, or Therapy Dogs. Our focus is on the relationship. We believe that this is the most important factor when imprinting our puppies and raising our own Goldens. We feel that creating this trusting bond is the foundation upon which all training happens. Our goal is to improve upon our lines in regards to health, conformation, titles, and temperament, while focusing on breed standards as determined by the American Kennel Club and the Kennel Club. It is our heart to breed and raise our Golden Retrievers to reach their potential, seeking to imprint our puppies with a myriad of positive experiences using exceptional care practices. Learn more about our exceptional imprinting practices and why they matter to us. All of our breeding Goldens have medical tests before formally entering our program. This includes: hips, elbows, eyes, heart, Ichthyosis, PRA1 and PRA2. Final test results are located on K9data. * We also find great merit in utilizing the expertise of Iowa State University specialists in interpreting test results and pairing this with clinical examinations. We realize the story of each dog is best told with hands-on care, examining each aspect of canine health with human touch and sight. We take all of these factors into consideration when we are making breeding choices, and appreciate the expertise we receive from these specialists, assisting us in what we deem as solid, ethical choices in breed pairings. *Please note that K9data no longer lists PennHip scoring results. For those Snitker Goldens breeders who were tested using this hip scoring assessment, please see individual test results listed on the personal dog page(s). © Petersen Photography - used with permission. Todd and Rhonda have spent almost thirty-three years on their farm in NE Iowa. They've raised four children and are the grandparents to eleven wonderful grandchildren. 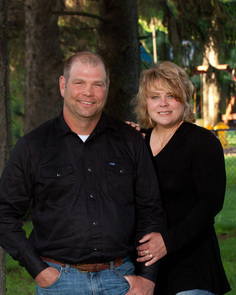 Raised on the dairy farm in Iowa, Todd and Rhonda have a lifetime of animal husbandry experience. 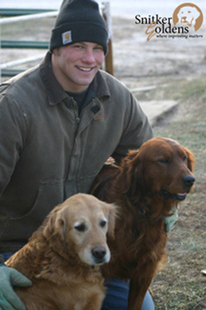 Todd manages their dairy, while Rhonda found a passion working with her Goldens. Todd has a bachelor's degree in animal science from Iowa State University, while Rhonda earned her master's degree in Art Therapy, December 2015. More than a team, we are family. Our passion is to honor God in all that we do. We hope you see evidence of this in our lives and in our Goldens. You may reach Rhonda at snitkergoldens@gmail.com. The only daughter and oldest of Todd and Rhonda's four children, Stephanie grew up appreciating the work, responsibility, and sacrifice that goes with raising animals. Family plays an important role as Stephanie and her husband raise their own children to value working together. Stephanie is responsible for the web design and maintenance, marketing communications, and email correspondence. Though Mandy passed away in the summer of 2013, unto the end, her heart forever belonged to us and even more so, to our son, that 13 year-old boy turned man of his own family. In 2015, we also said goodbye to our dear friend, Rusty. Though his body wouldn't let him, his heart was still riding in the back of a gator, resting under the crab apple trees, or joining our boys to check on cattle in the pasture.